When I do things I feel a sense of urgency, I like to move and get things done. This does not lead to the most relaxed life style and I am often frustrated by people who move slowly and take their time. Sometimes I feel like lighting a match under their rear end and shouting Move! I live in Israel and have spent most of my life in Israel. I grew up with the reality of terrorism, constant wars, and in the shadow of the Holocaust. We are used to uncertainty; the threat of war and terrorism, world condemnation, and we realize we must rely on ourselves. While sometimes help comes from the outside the Israeli mentality is self reliance; we cannot count or depend on others. When terrorism hit Israel most of the world looked upon it as an "Israeli problem", of little concern to them. The world forgot that if one man is not free – no man is free. If one man is allowed to be terrorized, then surely others will follow. If you do not stand up for justice when others are in trouble, soon enough it will you who will be the next victim and you will have no moral right to ask others for help. And now the world comes to us for Krav Maga and counter-terrorism training, we have learned our lessons the hard way. 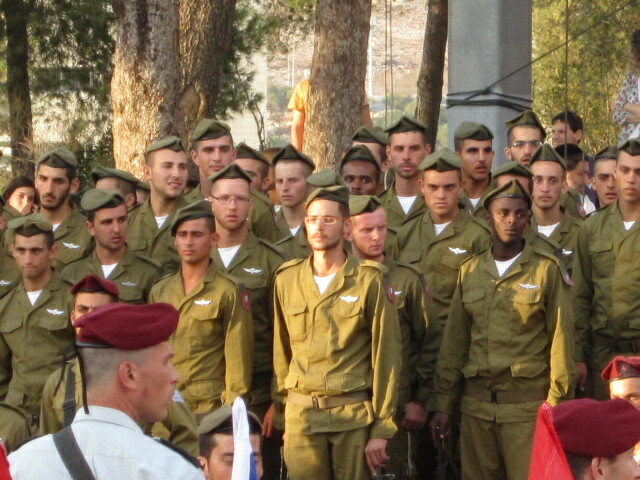 These young Israeli soldiers of the elite Paratroopers unit, being sworn in at Ammunition Hill, understand the need to act fast in defense of our country. When faced with precarious situations many feel that the best approach is to remain calm and "things will work themselves out", well that has not worked for us. Our history has taught us otherwise. So we have a different attitude: Act now! Act fast, be aggressive and put it "in the face" of the enemy. We are tired of waiting for things to work out. We are faced today with the Iranian nuclear threat but many feel we should just remain calm, everything will be just fine. The "Great Fool", Neville Chamberlain, felt this way at the outset of World War Two and thus allowed a monstrous killer to take over Europe. What will be the cost if we allow this to happen again? So we stopped waiting. And the Zionist movement arose, and great thinkers woke up, and Dr. Theodore Binyamin Ze'ev Herzl came along and said "If you will it , it is not a dream", and Ze'ev Vladimir Jabotinsky from Odessa wrote "Jews learn to shoot! ", and Shlomo Ben Yosef and Dov Gruner, and Louis Pinsker, the poet Uri Zvi Greenberg, and Rabbi Zvi Hirsh Kalisher and Joseph Trumpeldor the One Armed hero from Russia, and Menachem Begin from Poland, and they said the time to act is now, the waiting must end. 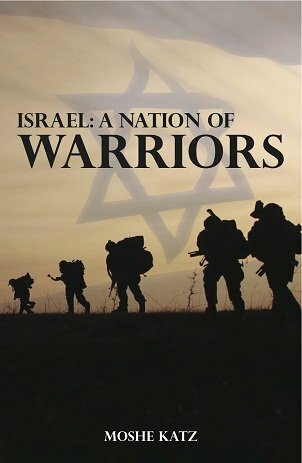 And the Israeli army arose with a philosophy of tracking down the enemy, engaging the enemy and eliminating the enemy. And Israeli commanders shouted "After me!" as they led their men into battle. And no one waited. We have learned, when there is a threat, to a nation or to an individual the only answer is to act now. Do not go along with your kidnapper as he takes you to another location. The first location is always the best place for you to respond. Do not wait for the hostages to be taken off the plane and driven someplace else, the odds of survival will only decrease. The way we see it the longer you wait to take action the less your chance of survival. You must act but you also must know how to act. So I ask of all you Krav Maga instructors, reach out to the community, get more people involved. Krav Maga training should be universal; men, women, and children. Let a terrorist know that every person on the plane, regardless of age or gender, can disarm a gun wielding terrorist, everyone of us should know how to disarm an M-16 or handgun. Act now. The other day in Israel there was a terrible tragedy, nothing to do with terrorism. A young man was very troubled; he and his 17 year old girlfriend planned a double suicide as their parents put untold pressure on them to abort their unborn child. As he put the gun to her head she cried, "Please, sweetheart, don't kill me", but she did not know how to disarm him. The police came and before there was a chance to explain – the troubled young man was shot dead by the police. If only she knew how to disarm a hostage situation. (A situation we work on all the time). As the Talmud says, "if not now then when?" When will you learn to take care of yourself? The time for Krav Maga is now. Yitzi and members of the 202 Paratroopers, Ammunition Hill, Jerusalem. 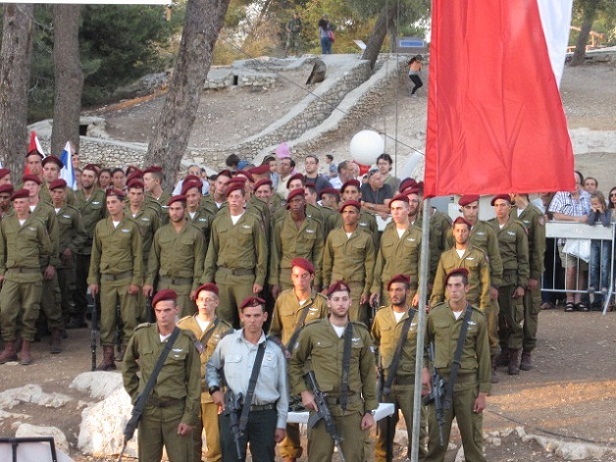 A few minutes later they all received their red berets, having successfully completed their training. Art work and graphics by Arie Katz.